At MAF Charles Mitchell had been responsible for restoring whitebait fisheries, but he could see it wasn’t going to happen within the confines of government research. He quit and then began to work on a new plan. He wanted to farm the sea. Now 63 years old, Mitchell has experimented and broken new ground on his own, and largely at his own expense, for more than two decades. 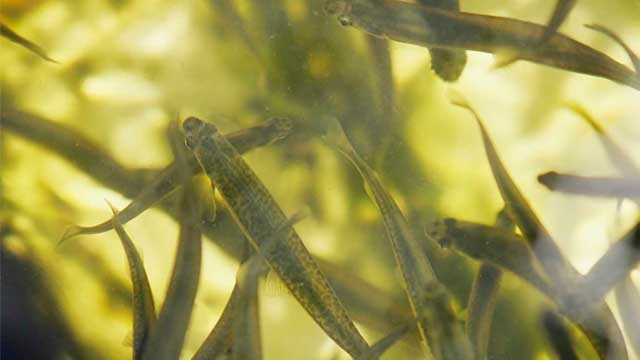 From his six ponds at the far-reaches of the Raglan Harbour, he’s successfully spawned hundreds of millions of whitebait and released them back into the ocean. He was the first person in New Zealand to breed the tiny fish in captivity.